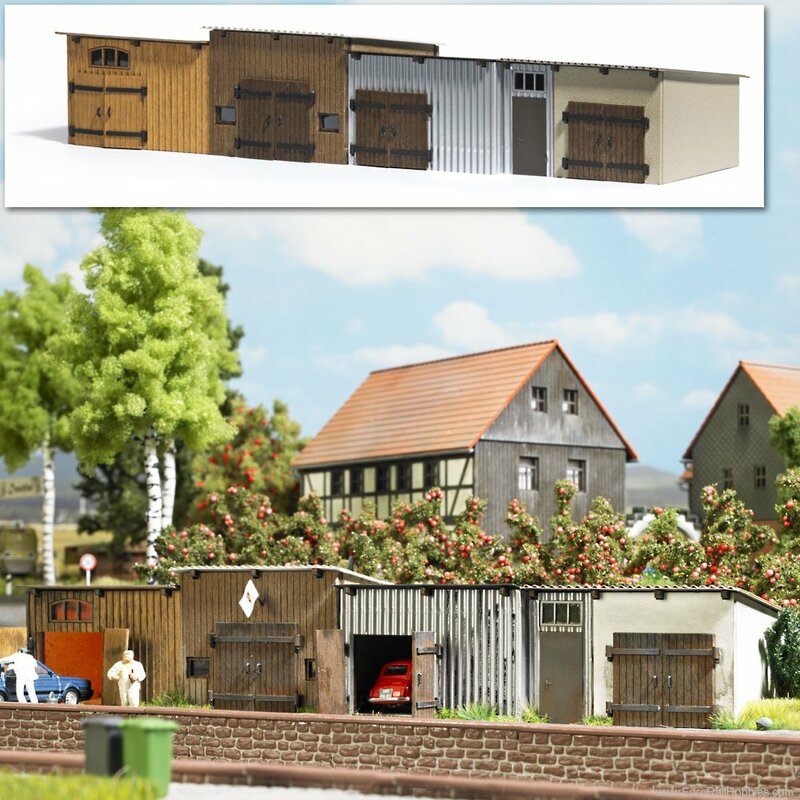 Kit of four sheds made of mixed construction materials, with different kind of roofs. Gates for opening. All parts already prestained. Size: 221 x 65 mm, 42 mm high.